The New Version of the Candor Heroes 新神雕侠侣 has dropped more stills of Thomas Tong Mengshi and Mao Xiaohui. I saw it earlier today and decided to post it here in case all you've seen were the posters from yesterday. Those actually caused quite a stir online. Expectations were high for Xiaolongnü to begin with. 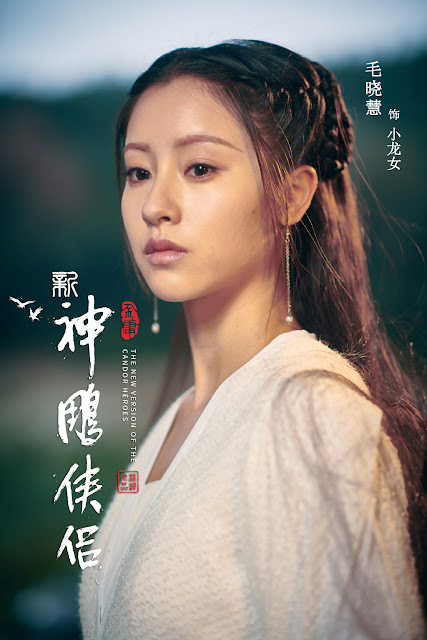 It's a character described as 'beautiful and elegant beyond convention' in the Jin Yong novels, so it came as a shock when the first look at the new Xiaolongnü was of her beneath layers of heavy shading applied to her photo. Because of it, Mao Xiaohui was trending no. 1 on weibo despite being a completely rookie. She's only starred in two dramas and both have not yet aired. Now, I'm half-convinced that this was a clever gimmick. 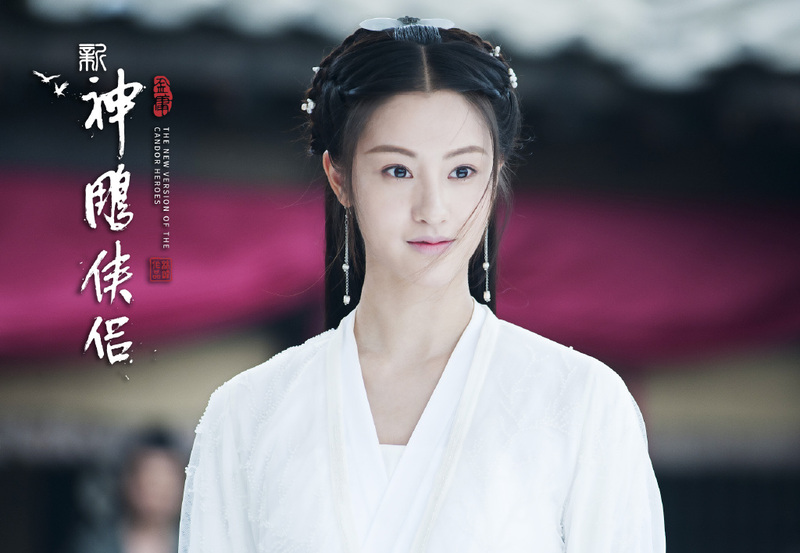 The latest batch of stills show that Mao Xiaohui does have some of that ethereal air of confidence. Comparisons will be always be made to actresses from previous adaptations, but at least there's hope for this remake. And yes, I'm loving the new Yang Guo. Honestly, she looks a little... pedestrian. Like a pretty enough supporting character but as one of the most beautiful woman of all time? Not so much. Maybe it's the angle but it's distracting to me how thick her neck is in the last 2 pictures, like it's the same width as her face (or maybe she just has a narrow face). She does exude the cold aura in some pics, so we'll see how she is in motion. Yang Guo, on the other hand, looks promising! I hate to be so shallow too. But when I think of XLN I think of Carman Lee and a crystal Liu. Hah I just noticed both initial are C. L. Sorry sidetracked... Yes I think the two ladies really set the standard for XLN's beauty. My fav is Carmen's protrayl of XLN. Agree. I'm not feeling her. At least not through these photos. Like what Anon 1 stated above maybe she'll be better in motion. Agree. She's pretty, but like XLN pretty? The bar has been raised many times by past actresses... maybe they're trying something new. Or maybe we'll have to watch to get a better depth of why she is beauty worth fighting for. She is pretty but only at the same level with Zheng Shuang and all the others, not ethereal...not at that one special beautiful level. Like there is anyone today...maybe the closest would only be Sun Yi to me. When the drama haven't even start, and it already failed. Not even a trailer was out yet...but with that title Candor Heroes, LOL! Maybe she is one of those people who looks much better in motion? I do feel bad for her. She was always going to be compared and her predecessors set a very high bar. The pictures today are better than the cheap looking posters. I like Thomas Tong Mengshi. Glad to see him land a big production so I hope this isn't a flop for his sake. I find the new Zhao Zhiruo 2018 comparison with her predecessors worse than comparing MXT with her predecessors. Especially when thinking of Gao Yuan Yuan. 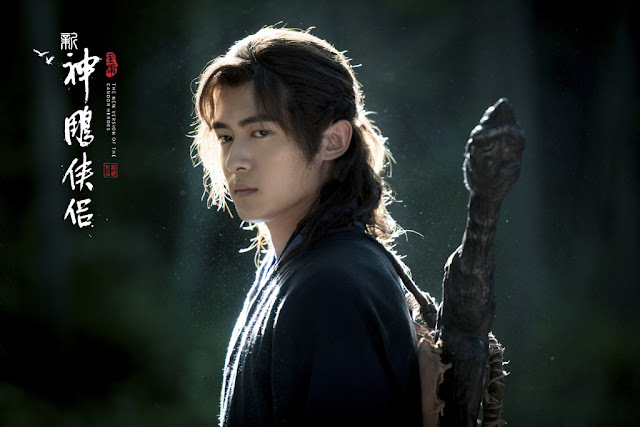 I don't know how Yang Guo is suppose to look like but usually he looked manly or more grown up type. Like Andy Lau, Loius Koo, Huang Xiaoming. Only Chen Xiao looked a bit small and young. 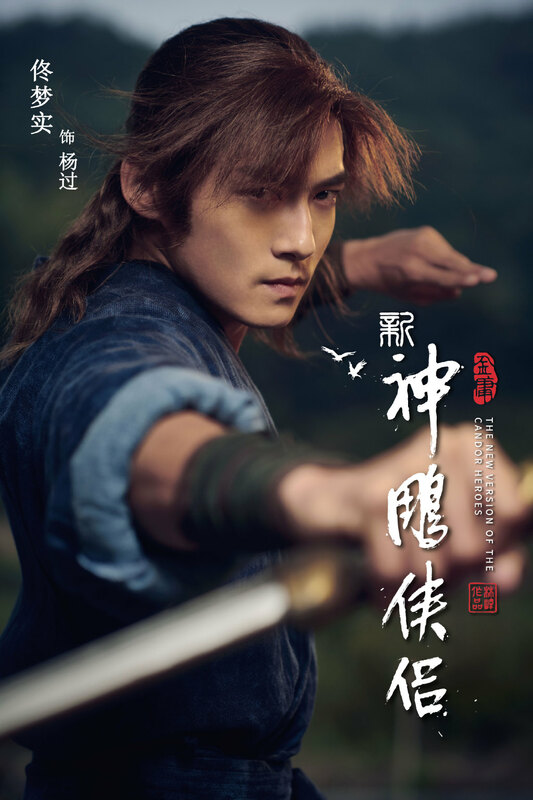 This new guy reminds me of Chen Xiao's portrayal more. The latest Zhou Zhi Ruo can't be worse than the 2009 version. That was a complete miscast IMO. I agree that Chen Xiao while good looking was a little too effeminate. But Tong Meng Shi reminds me more of Louis Koo though.